For the last year I have been pining over satchels - in particular, a brown leather, keep forever kind of satchel. To try & satisfy my cravings, I kept buying cheap bags from high street shops that fell apart or got unstitched and ratty very quickly, but still found it hard to justify spending anything over £50+ on a bag. So it was VERY exciting (and lovely and thoughtful), when my very generous parents bought me one for my Christmas present (all of my christmas hints must have worked!). Thanks mum & dad! 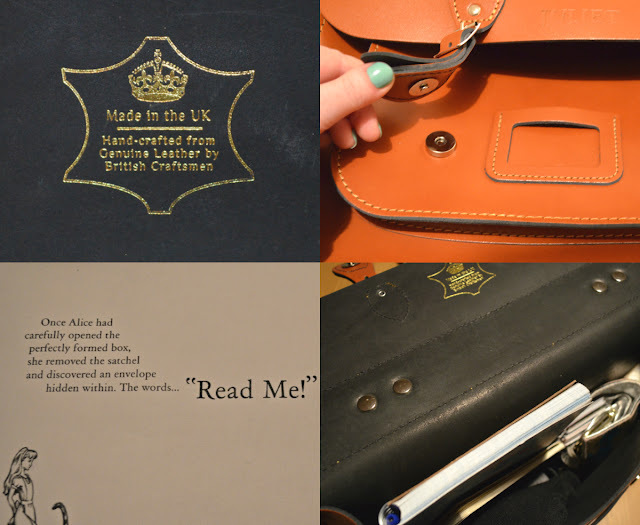 There are loads of satchel makers out there, but I knew I wanted to use The Leather Satchel Co - a satchel maker who has been in business since the 1960s (so they know their stuff!). 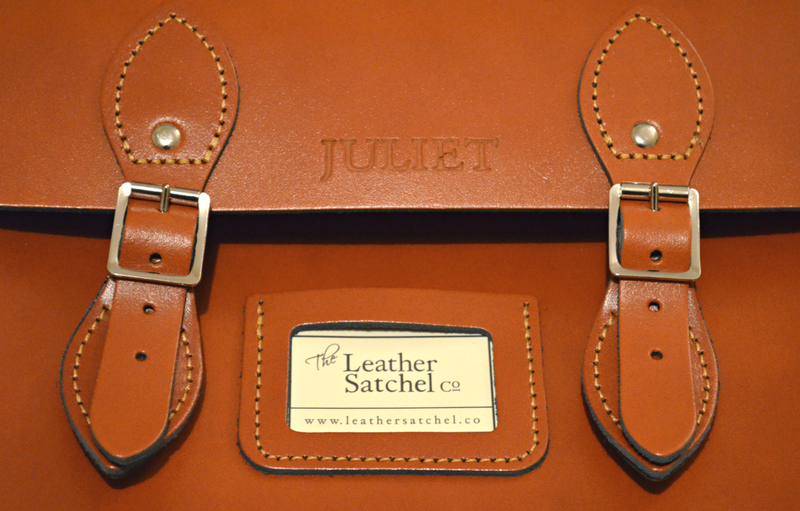 They hand-craft each satchel to your exact requirements & each one comes with a 5 year craftsmanship guarantee . As I'm planning to use this bag for a very long time, I thought it made sense to get it exactly as I wanted it! So I ordered a 14" satchel in London tan leather (it looks quite orangey in some of these photos, but it's a really rich chestnut brown). I got them to add a briefcase handle and change the traditional straps to magnetic fasteners (much easier to get in and out, but still looks lovely!). Also, because I couldn't resist, I asked for my name to be blind embossed across the front. 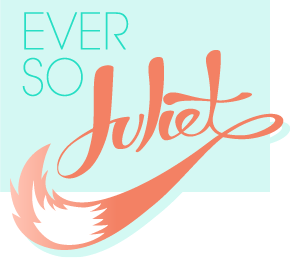 Super indulgent, yes, but I love it! It took less than two weeks from ordering to delivery, which is pretty good considering it's all made by hand! Currently the leather is quite stiff, but it'll age really well & the leather will soften up. I LOVE IT. The size fits my laptop perfectly & is big enough to fit in an A4 pad (just! If you wanted to carry a folder you'd be better sizing up). My only issue is that I'm used to having a wee zip pocket for my keys & phone, and it's a bit weird just throwing them into the bag (there is a big front pocket, but I feel weird about putting keys in there). Still, that's a small gripe - I think I just need to get something zippy to hold my valuables. Satchels start at £80+ when ordering directly from the workshop, but you can also buy them from ASOS & amazon (good when they have sales on!). I can't believe I just bought a 14" black and tan satchel from ASOS for 40pounds. 40!!!!!!! What for a bloody sale! This is perfection in a bag, absolutely beautiful. I love satchels and I dream of owning a bag like this but unless it was a gift I couldn't justify spending that much on one. Seriously it's the bag of dreams! YOu are one lucky and smart lady. For real satchel lovers only The Leather Satchel Co. products will do! Getting for the magnetic fasteners is a great idea. I can't tell you how many bloggers complaint about paint cracking on buckle straps of the other brands. I carry both with and without magnets both from same company and the leather has not cracked one bit. Even if it does, with their 5-year warranty I am not worried. Hope you enjoy it as much as I do mine!!! Your name looks lovely in blind embossing. I've talked to The Leather Satchel Co. about the cracks in the leather around the buckles, they said this is normal wear for any satchel with that type of buckle. Also they said that the only way to get around it is with magnetic buckles. Then i went searching for satchels with magnetic buckles and found this interesting shop, wich stocks a large inventory of styles, sizes and colors, ready to ship. all with magnetic closure. www.satchel.co Very interesting!! Mine have magnetic buckles anyway :/ oh well, i am in love with my satchel anyway! Yes, we have the Satchel with Magnetic Closure, please take a look! I've just ordered a satchel from the Leather Satchel Co in this exact same colour and I was wondering if you asked them to dye the inside of the bag and the edges black or is this how it comes standard? I've seen this colour of leather on other blogs and it doesn't have the black edging :-/. I love your bag! I'm currently trying to find a bag for university, and this company is one on my shortlist. I know it's an investment, but I'm still trying to justify the price tag especially as I bought an expensive Hidesign briefcase style bag only three years ago (just not wide enough for an A4 folder plus everything else)! I went for it! Do you mind me copying a photo from this post onto a post I'm writing? I will link back! Omigosh! Finally, a good review on London Tan. I'm looking into a 12.5 inch though. I want mine to look "vintage-like." I wanted brown for that reason and so that I can wear it in any season with any outfit. Do you personally think Chestnut Brown or London Tan would work best for me? Yah, I think I'm settling on London Tan. Chestnut Brown just looks too dark. Hey, do you know if the bag (over time) stretches a bit? I don't think I'll go with 14" because I'm 5'2" and it might look way too big on me. But... I want to fit my DSLR in there sideways on few occasions. It would have to stretch 0.3 inches though. Think I could do it every once in awhile? Or do you think I'll have to pay the extra 12 quid to upgrade the gusset? 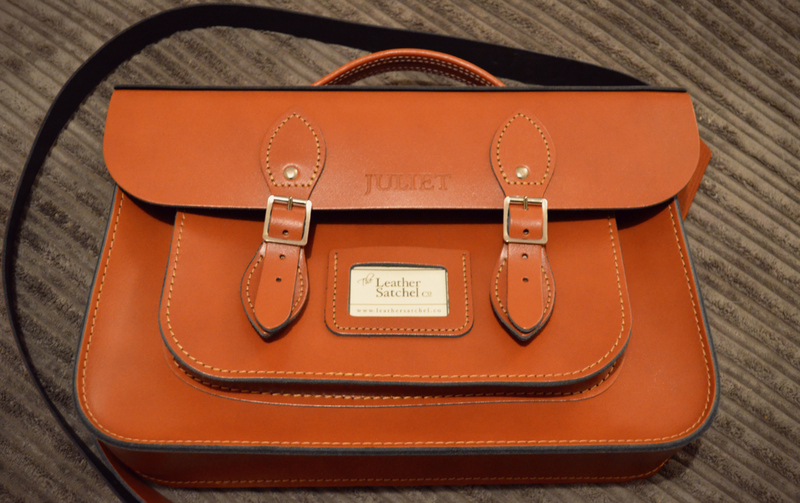 hey ya, I would like to buy a satchel bag however, cambridge satchel is too expensive for me. I am looking for a magnetic buckle satchel... I saw there's a satchel in Amazon, the name of the brand is Yoshi, do they have magnetic buckle satchel? This satchel look really amazing..!